To give your car the extra support it deserves we have 3 underlay options - it all depends on what kind of protection you are after. All our moulded floorings are designed to accommodate underlay beneath them, so the addition of underlay to your car is essential for getting your new floor to fit the way it should. This is your run of the mill- well supported underlay that gives a longer life to your fancy new carpets. It will stop the carpet from slipping and sliding and protect the carpet against the car’s metal framework. It will also give you some noise reduction inside your car. If you are looking for the ultimate all-in-one soundproofing product then our top-of-the-line underlay is what you need! We have designed this underlay in-house by combining traditional Butyl four sound absorption, with the added bonus of cloesd-cell foam underlay for waterproof spill protection. If you spill your coffee - don’t panic - it won’t soak into your underlay and get that wet car smell! With added heatproof properties for extra protection, it’s really win-win with this underlay. This tough underlay is perfect for all you parents, tradies or 4WD lovers! This amazing underlay is made from closed cell foam - it won’t absorb any liquid spills from water to oils or even fuels! If you spill something it simply wipes clean! Too easy! 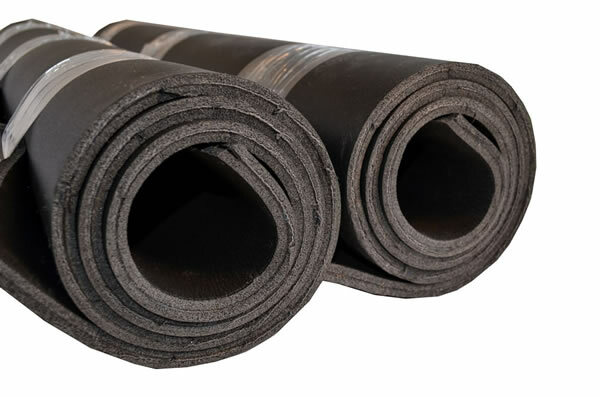 This underlay is so good you can even use it on your boat/ caravan or even the school bus.